1. At Stonehenge there are four station stones that were set in place to form a rectangle, which is perpendicular to the summer solstice sunrise. The rectangular placement of the station stones served as sun and moon alignments, the only location on earth where these alignments are perpendicular to each other. 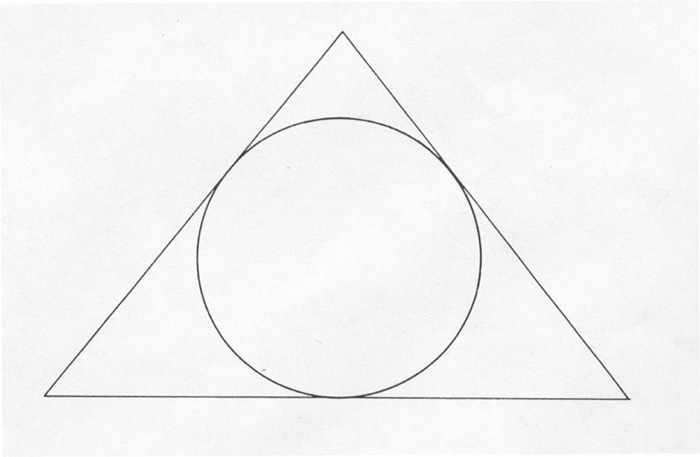 The diagonal between two of the stones is the exact bearing to the center of the Great Pyramid. 2. 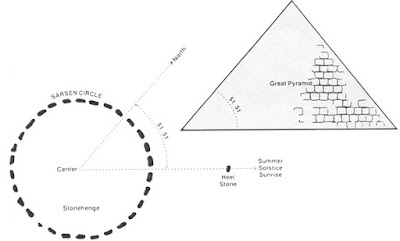 Amazingly, Stonehenge also fits EXACTLY inside the Great Pyramid when both are drawn to scale. 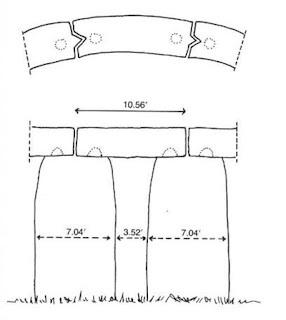 The Stonehenge's diameter of the outermost perimeter of the site measures 378 feet: exactly half of the 756 (378 x 2) feet that each side of the Great Pyramid measures. The diameter of Stonehenge also equals the diagonal length of the Great Pyramid 'corner to corner' divided by a factor of ten. 3. Both structures also share the famous pi angle; 51 degrees, 51 minutes, 14.3 seconds. 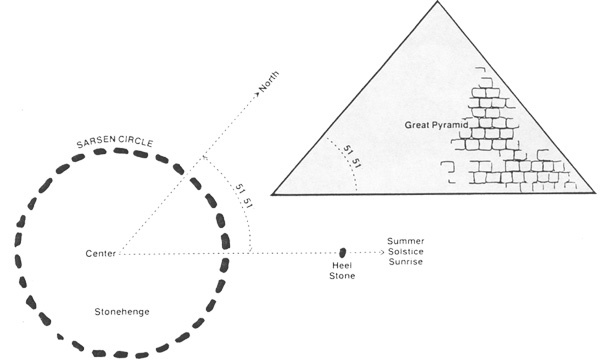 This is the angle of summer solstice sunrise to north at Stonehenge and the precise angle of each face of the Great Pyramid. The architect of Stonehenge had monumentalized in stone, for all time and for all to see, the importance of the death of Jesus, the date of the event and its occurrence on the afternoon of Passover (equinox) moon-rise nearly 2,000 years before it happened! As well as the birth date of Jesus! 1. 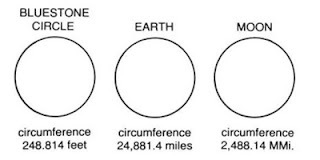 The circumferences of the Earth and Moon are 24,881.4 miles and 2,488.14 megalithic miles respectively (God's hand is evident here). The Bluestone Circle of the Stonehenge has a circumference of 248.814 feet! 2. The sun has a radius of 3,456,000 furlongs. 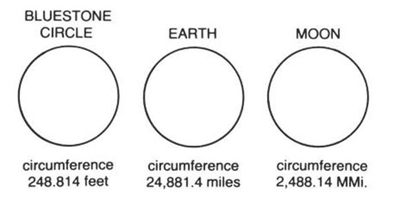 Furthermore, if we were to place a square around the sun, and measure the perimeter of the square, it would measure 3,456,000 miles. 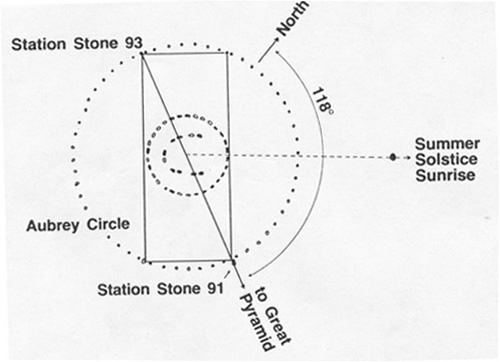 The Station Stone rectangle of the Stonehenge has a diagonal that is 3456 inches long! 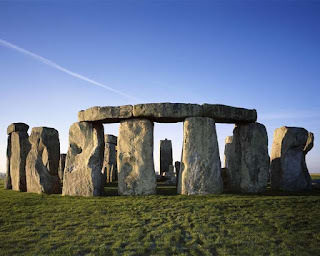 And the Aubrey Circle of the Stonehenge has a diameter of 3456 inches! The number 3168 is also found throughout Stonehenge (the Gematria value for “Lord Jesus Christ” in Greek is 3168. See: Jesus' Number in Everything: Amazing Proof) His number, 3168 is found all over the Creation. And guess what? His number is also found all over the Stonehenge. 1. 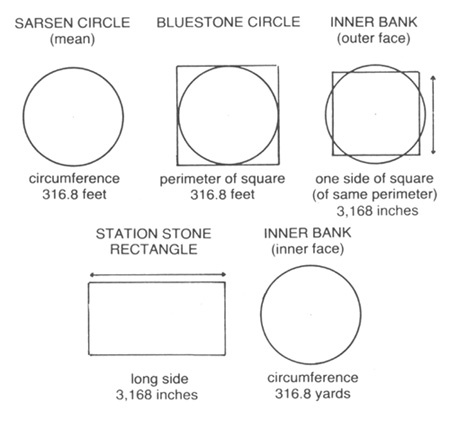 The mean circumference of the Sarsen Circle (which makes the full Stonehenge) is 316,8 feet. 2. 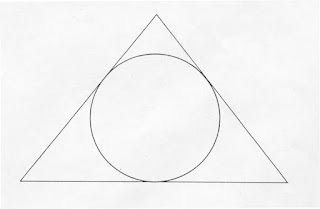 The perimeter of a square when drawn on Bluestone Circle is also 316,8 feet. 3. One side of a square with same perimeter as the outer face of Inner Bank is 3,168 inches. 4. The long side of Station Stone Rectangle is also 3,168 inches. 5. 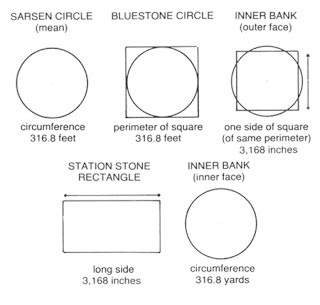 The circumference of inner face of the Inner Bank is 316,8 Yards. 6. 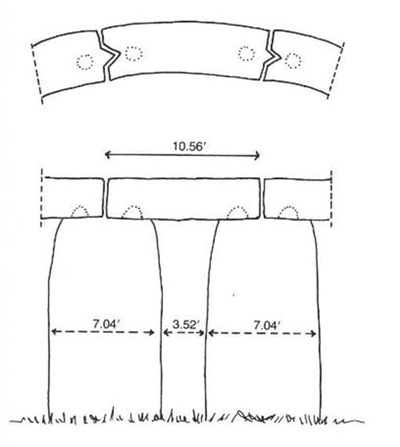 The Lintels making up the Stonehenge, which form the perfect circle atop of the uprights, have a mean length of 10.56 feet. There are 30, so multiplying out you get that number 316.8, again pointing to Jesus. 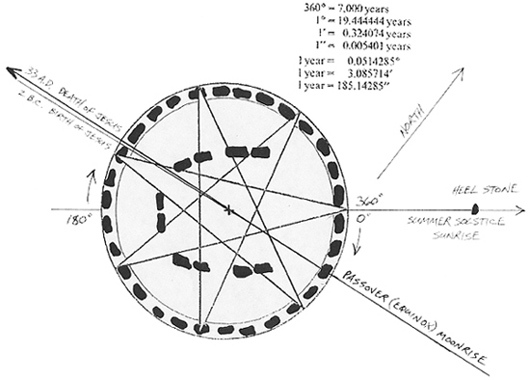 Do you really believe the creator of the Stonehenge placed the repeating number, 3168, in his creation just by chance, without even realizing it?